What are Bridal Portraits? Read why you should consider bridal portraits. 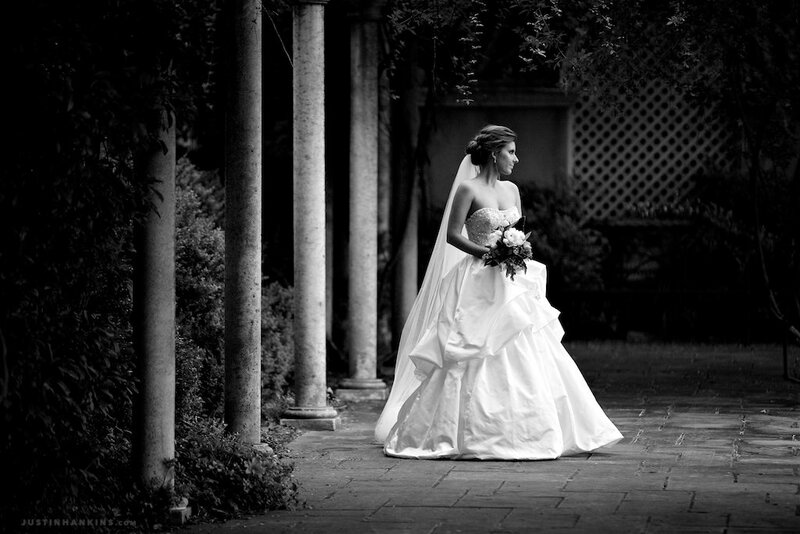 Bridal portraits are a popular southern wedding tradition that take place a month or two before the wedding. 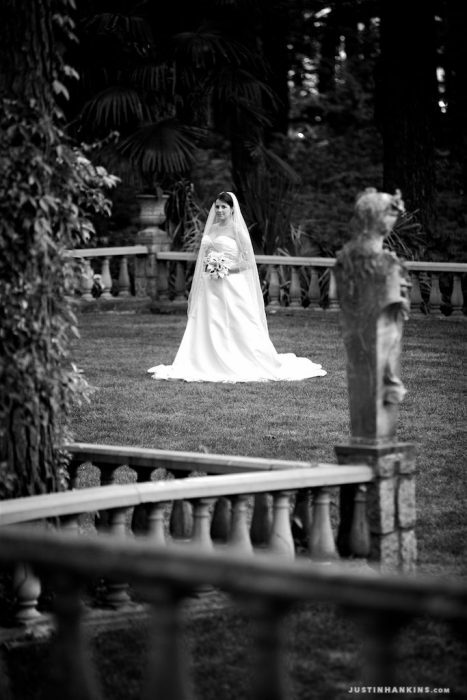 The session is dedicated to formal portraits of the bride, by herself, in her gown. Typically, a photograph from this sitting is enlarged and framed, placed on display during the wedding and then presented as a gift to the bride’s parents. 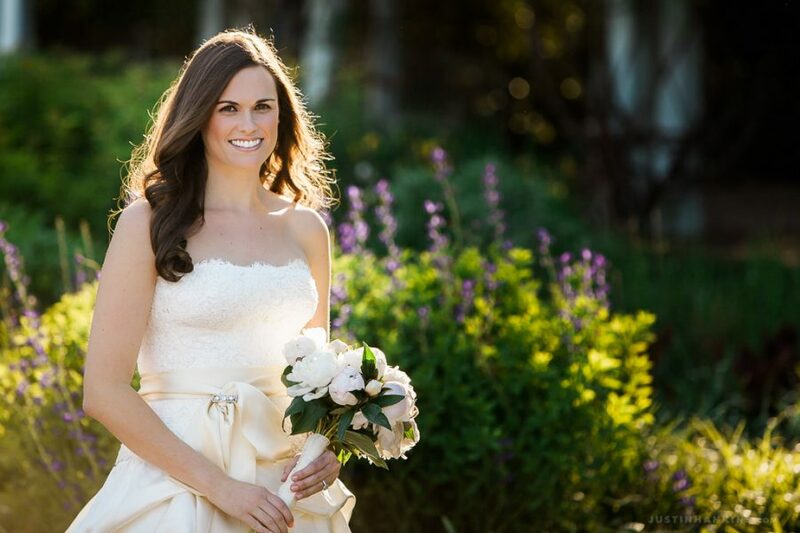 Your photographer will likely take some individual photos of the bride on the wedding day, but doing bridal portraits before-hand offers several advantages. The biggest advantage of taking bridal portraits is that they allow you to test-run everything before-hand. You’ll be able to see for yourself whether your eye makeup is too heavy, whether your gown stays comfortable after extended wear, whether your floral designer knows how to get the right color for your bouquet, etc. Since the wedding day is so fast-paced, a separate bridal portrait session offers you the convenience of taking formal portraits at a time of your choosing (and to require as much time as you need). Additionally, it offers you the opportunity to utilize a location that won’t be part of your wedding day. For example: if you’re getting married inside a church, you could do bridal portraits at a botanical garden. Or if your day-of preparations are at a hotel, you could do your bridal portraits at your parents’ home. So much happens on the wedding day that you can’t anticipate. Whether your shoes start giving you blisters, the humidity makes your hair start drooping into your eyes, or your cathedral veil gets caught in a tree, nearly every wedding involves some last-minute, day-of compromises. Doing bridal portraits ahead of time offers you the opportunity to take photos on your own terms and ensure everything is as perfect as possible. Can’t I just do bridal portraits on my wedding day? Yes, of course. Many people do. But so much happens outside of your control on the wedding day that it’s a bit of a risk to expect the same time and attention that a separate session provides. For instance: rain might prevent you from using the location you prefer, time constraints might limit the amount of attention you’ll be able to devote to them, and heat/humidity might introduce comfort issues outside of your control. 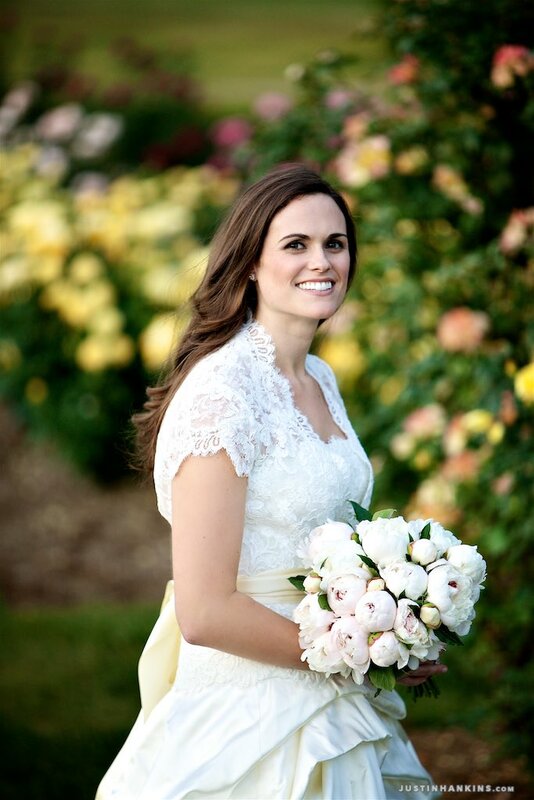 If individual, formal bridal portraits are important to you (or your mother! ), a separate bridal portrait session will offer you a wealth of advantages. What’s the history of bridal portraits? In 15th Century Italy, husbands commissioned portraits of their new bride to show off not only her beauty, but also the wealth of jewels either owned by the bride as a dowry or presented to her by the husband as a wedding gift… The ornate hairstyles intertwined with pearls, rubies, and other strings of gems, combined with the lovely youth of the subjects, presented an excellent opportunity to create some of the most beautiful portraits of Renaissance women.